The best Android smartphone of 2014: Samsung vs HTC vs Sony? Three flagships, one winner. Which 2014 smartphone will it be? Flagships from the leading Android manufacturers are on sale now in Australia. There’s the 5.2in Xperia Z2 from Sony, the 5.1in Galaxy S5 from Samsung and the 5in One (M8) from HTC. All three are fantastic choices, but one of them will go down as an all time great. Design is more than good looks. Great design masks a smartphone’s technology and makes its many features accessible to the masses. People of all ages and tech-fluency will feel they can pick it up and use it with little to no fuss. Every part of it — no matter how big or small — looks bespoke. 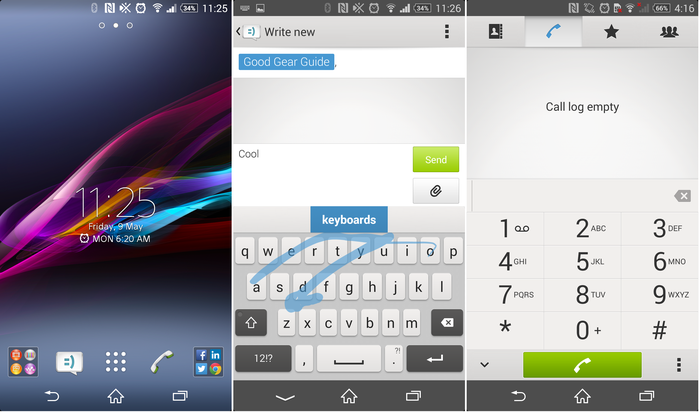 The process of elimination disqualifies the Xperia Z2. Sony’s smartphone is just too big and, when up against competition this fierce, lacks the ergonomics to feel comfortable. Samsung’s smartphone is next to fall. The Galaxy S5 relies on plastic, chrome and fake leather; materials that will not measure well against the test of time. Then there’s the HTC One (M8). A range of cutting edge technologies have been used to forge a premium metal sheet into a shape that feels natural to the hand. A hairline finish ensures it is a pretty sight at any angle. Every part of it — no matter how big or small — looks bespoke. There really is no contest. Points are awarded for functionality, performance and simplicity. The fact these smartphones run on Android 4.4 KitKat ensures they are already supremely functional. 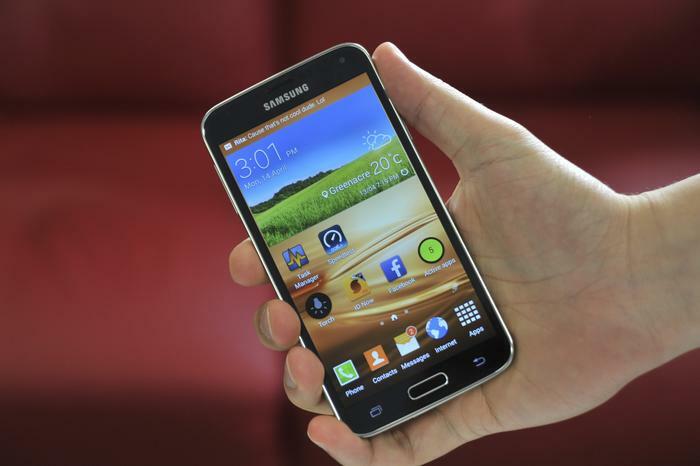 Samsung’s Galaxy adds a little to the functionality of Android, but it does so at great expense. The TouchWiz overlay is so elaborate that it proves taxing on the hardware. This would be fine if it wasn’t tedious to use, or if it was an attractive Android skin. Worse yet, several custom Samsung apps make the Android experience feel like a proprietary extension of Samsung’s ecosystem. HTC’s Sense 6 Android overlay has a light footprint in comparison. The colour scheme is better coordinated and the layout takes advantage of the screen. It doesn’t matter if you’re looking at the typeface or at the user interface: all of it is attractive. Sony’s software adopts a similar philosophy. The design is clean, complementary to the hardware and is easy to use. But the Xperia Z2 goes one further than the HTC by featuring the best multimedia software available on any of these smartphones. The insides of Samsung and HTC’s smartphones practically mirror one another. Both flagships feature a leading 2.5GHz CPU with 2GB of RAM. The Samsung edges ahead in Australia with the availability of 32GB of internal storage, while One owners will have to make do with half that at 16GB. All three smartphones support expandable microSD memory cards. Sony’s Xperia Z2 has deviated from the formula. Its CPU is a whisker slower at 2.3GHz, but it has significantly more RAM at 3GB. A year into your 24 month smartphone contract, when the apps are beginning to bog down you Samsung Galaxy S5, the odds are Sony’s Xperia Z2 will continually chug along just fine. HTC’s One (M8) is out of contention from the get-go. The DuoCamera concept does pique interest for a while, but the gimmick grows tiresome quickly. Then there’s the way the One exaggerates colours and flushes detail from photos in ordinary lighting. Did we mention photos are captured at a limp 4 megapixels? The Xperia Z2's camera somehow captures the elusive sense of atmosphere. Picking between the Samsung and the Sony is tougher. Photos taken with the Galaxy S5 are proficient in almost all lighting conditions. Then there’s a range of software modes geared to improve the finish of a photo. Samsung’s ‘select focus’ mode blurs the background of close-up photos in a similar fashion to the HTC One (M8). 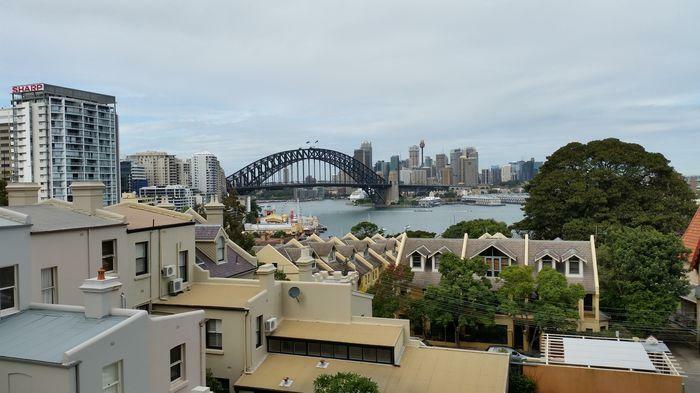 The 20.7 megapixel camera on Sony’s Xperia Z2 is a worthy contender. No one colour stands out on photos snapped with the Z2; rather, the entire photo looks picturesque. The Xperia Z2’s camera somehow captures the elusive sense of atmosphere. The Xperia Z2 should have this in the bag, but the performance of its camera is undermined by the lack of an HDR mode. This means landscape shots look dull alongside those captured by the Samsung Galaxy S5, and that is a fatal flaw. The HTC One is made from metal, and that’s a pretty sturdy material. Scuffs won’t take much charm away from its naked body, but in this battle of flagships, a tough construction isn’t enough. 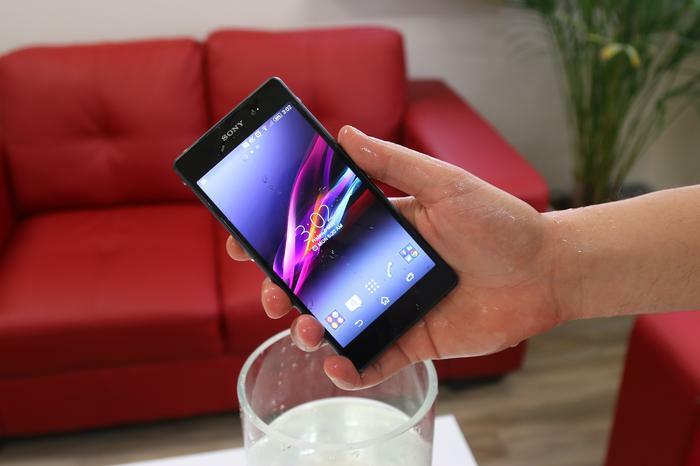 Sony and Samsung’s smartphones have certification against water and dust. The Samsung Galaxy S5 has an IP67 rating, which ensures its can handle freshwater a metre deep for a full thirty minutes. There’s no denying the Xperia Z2 is focussed on delivering a refined experience, but it doesn’t offer any innovations. 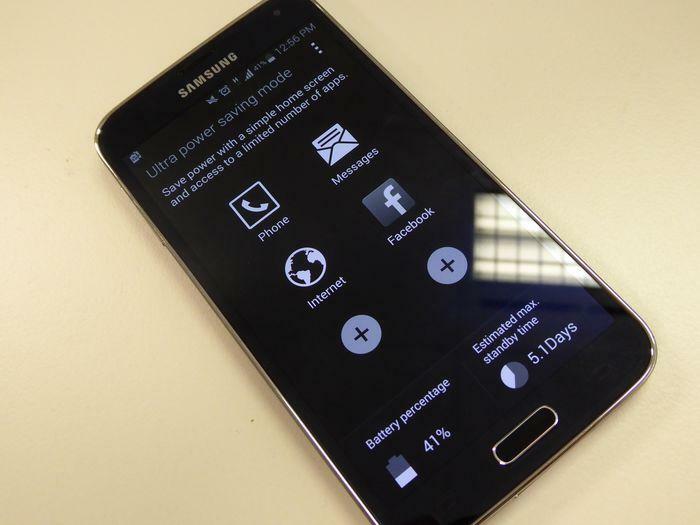 Samsung’s Galaxy S5 on the other hand hosts a slew of new features. The Galaxy S5 is the first smartphone to integrate a heart monitor. Other additions include a finger scanner, which can be linked with your PayPal account for convenient transactions, and the ability to combine Wi-Fi with 4G for faster downloads with ‘download booster’. ...it edges ahead by introducing more relevant features. Some of these features make owning a Galaxy S5 worthwhile, but most people will overlook them just as they did with the Galaxy S4. The only real value-adder is Samsung’s ‘ultra power saving mode’. Enabling this mode disables unnecessary mobile features in order to retain battery life for up to 12 days. That’s incredible, but Samsung isn’t the only company investing in such technologies. HTC’s flagship extends the battery life with ‘extreme power saving mode’. It performs the same function as the Galaxy S5’s, but whereas 10 per cent of charge will last 24 hours on the Samsung, HTC claims it’s One (M8) will last longer at 30 hours. Extreme power saving mode is but one of a number of useful features found on the One. The smartphone has a 5MP front facing camera that has f/2.0 aperture and a wide 88 degree lens. The front-facing stereo speakers — each working with a dedicated amplifier — are easily the best in the industry. And HTC’s SenseTV software, which combines an electronic program guide with an IR blaster, makes the smartphone the only thing you need to control your home entertainment system. Samsung and HTC’s flagships are both rich on features, but the One (M8) edges ahead by introducing more relevant features. The tally reads: Samsung Galaxy S5, 1; HTC One (M8), 2; and Sony’s Xperia Z2, 3. The numbers add up in Sony’s favour, but it’s not the smartphone we would spend 24 months with. Sony’s Xperia Z2 is a fine phone — clearly one of the best — but its design leaves us wanting. Some smartphones we mourn when we have to return them. Sony’s Xperia Z2 was not one of these phones. Nor was Samsung’s Galaxy S5. 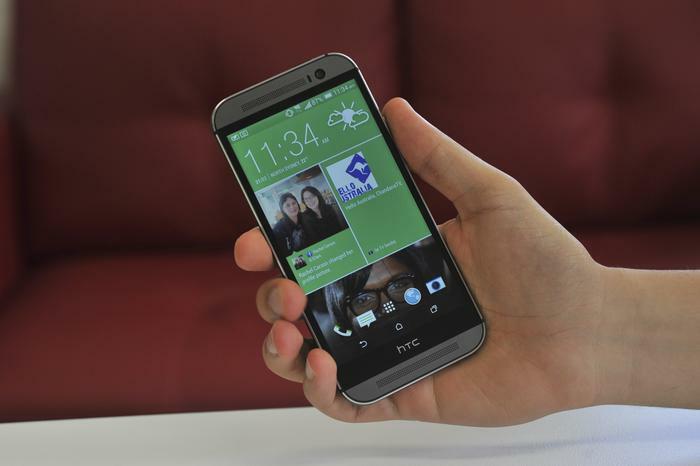 The best Android smartphone of 2014 goes to the HTC One (M8). It is better built, better equipped, more refined and utterly enjoyable to use. Sony and Samsung’s flagships are the go-to if you need a waterproof smartphones, HTC’s One (M8) is for everything else. Which smartphone will you buy?